New Patients Receive Free Consultation! Good spinal alignment means good biomechanical health. Essentially, your spine is the biomechanical center of your body. Your legs are connected to your spine via two large and strong pelvic bones. Your arms are connected to your spine via your shoulder blades, ribs, and numerous strong muscles and ligaments. Spinal alignment supports the functioning of all these associated components. When your spine is in line, then all of your body's mechanical abilities, such as bending forward and backward, twisting and turning, and walking and running are able to be performed at maximal levels. In addition to the importance of spinal alignment for physical performance, spinal alignment is also a key factor in the functioning of all of your body's physiologic systems. 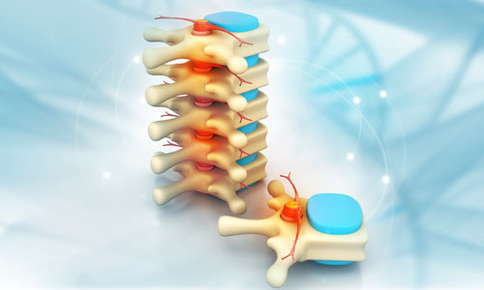 In other words, spinal alignment is a critical element in obtaining and maintaining good health.1 Specifically, your spine houses and protects your spinal cord and 31 pairs of spinal nerves, the lengthy cord-like extension of your brain and the primary branches extending from that main trunk. Regular chiropractic care plays a primary role in helping you and your family maintain high levels of health and well-being. By detecting and correcting spinal misalignments and sources of nerve interference, regular chiropractic care helps optimize spinal functioning. As well, by directly addressing nerve interference, regular chiropractic care helps information flow more freely between your brain and the rest of your body. As a result, all of your physiological systems receive and transmit more timely and accurate information regarding metabolic status, need for nutrients, and other requirements. In this way, regular chiropractic care helps us achieve more complete physiological performance and attain higher standards of overall health and wellness.